In October, I started working 1:1 with an amazing designer named Xander Pollock. He worked on Inbox by Gmail… and before that, he co-founded a company (Punchd) and sold it to Google. The first phase in the process is unpacking. I wrote about that yesterday. I did an activity called Crazy 8’s, where you divide paper into an 8-part grid. 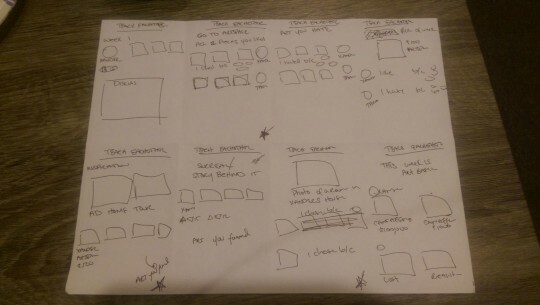 You get 1 minute to sketch a version of an idea for each grid (8 mins total). Doing this with Xander was super fun (we did this part in-person) because he rolled up his sleeves and did it with me. We would show each other our ideas & Xander’s a genius so he really inspired me and got my creativity flowing. 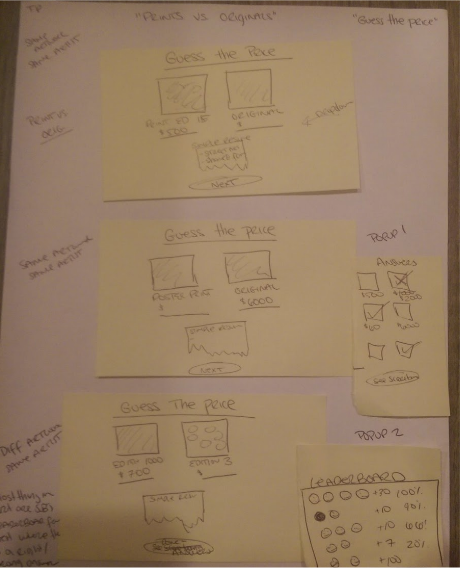 I took the best Crazy 8 ideas (some of them sucked but others were surprisingly nice ideas) and fleshed them out in Solution Sketches.